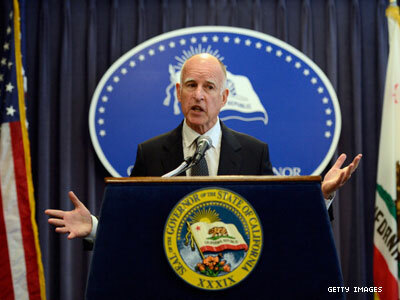 California governor Jerry Brown has vetoed a bill that would have provided protections for children with more than two parents, explaining he was sympathetic to the families where this applies but needed more time to consider the issue. The bill, which was authored by state senator Mark Leno would have adjusted a recent California Court of Appeal decision, In re M.C., which ruled that courts can never determine that a child has more than two parents, regardless of the situation and even if it would protect the child from harm, according to the National Center for Lesbian Rights. The court did, however, call upon the legislature to address the issue. Leno said the bill could have ensured that "children are not unnecessarily put in the foster care system by allowing judges to recognize the fact that some young people are raised by more than two parents." He added that he would continue to work with the governor to create a solution. NCLs family protection project director Cathy Sakimura said she was disappointed that Brown vetoed the bill, "which we believe provides a thoughtful well-considered approach for courts to protect these children." Sakimura and Ed Howard of the Children’s Advocacy Institute, University of San Diego School of Law, NCLR's cosponsor on the bill, said they would continue to work with Leno on the matter. "Until this law gets changed, judges in California will be forced to issue rulings they know will hurt children by bluntly ordering an end to their real relationships with their real parents," Howard said. "This is wrong and it should not endure."